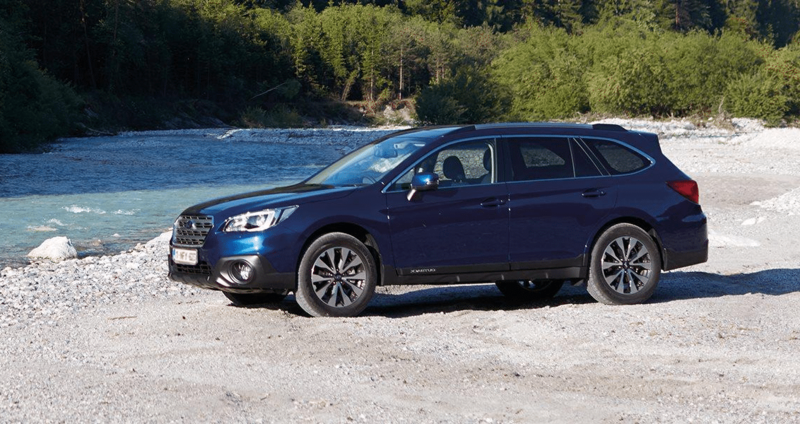 The estate that’s as comfortable on muddy fields as it is on city streets, the Outback is a practical, capable car that’s brilliantly safe on the road. Stylish, spacious and refined, this is a car that takes you further. Towing Capcity - Hitch up a loaded trailer or caravan whenever the need arises with a towing capacity of up to 2000kg. X-Mode - Negotiate steep, extreme terrain confidently at the push of a button. X-Mode with Hill Descent Control manages the engine, transmission, Symmetrical All-Wheel Drive, brakes, and other components to provide the best traction and grip. X-Mode with Hill Descent Control makes climbing and descending steep, slippery surfaces in Outback controlled, calm and worry-free. When activated, X-Mode with Hill Descent Control takes command of the engine, transmission, Symmetrical All-Wheel Drive, brakes, and other components to provide the best traction and grip in difficult conditions. Hill Descent Control moderates speed and braking for you when going downhill, allowing you to concentrate on steering. 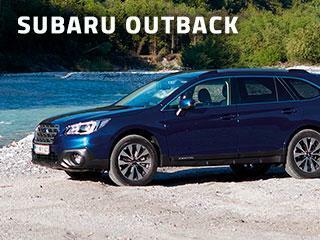 Outback’s towing capacity of up to 2000kg* lets you hitch up a loaded trailer or caravan whenever the need arises. 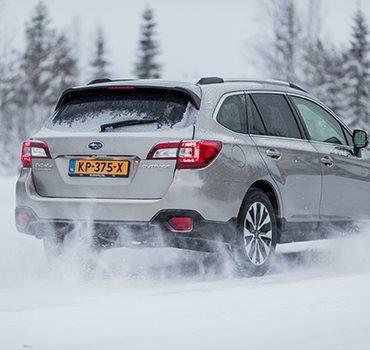 Outback’s 5* Euro NCAP rating for safety is the testing agency’s highest award. Outback performed well in adult crash test protection, with maximum points awarded in the side impact barrier test. In dynamic crash tests the Outback scored maximum points for protecting small infants. 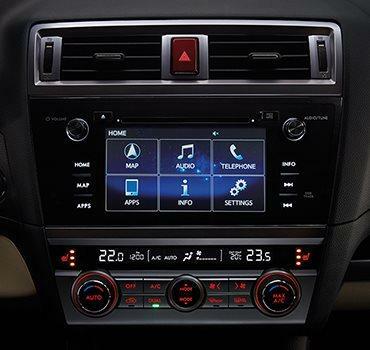 The SUBARU infotainment system*2 lets you make phone calls and set the navigation. 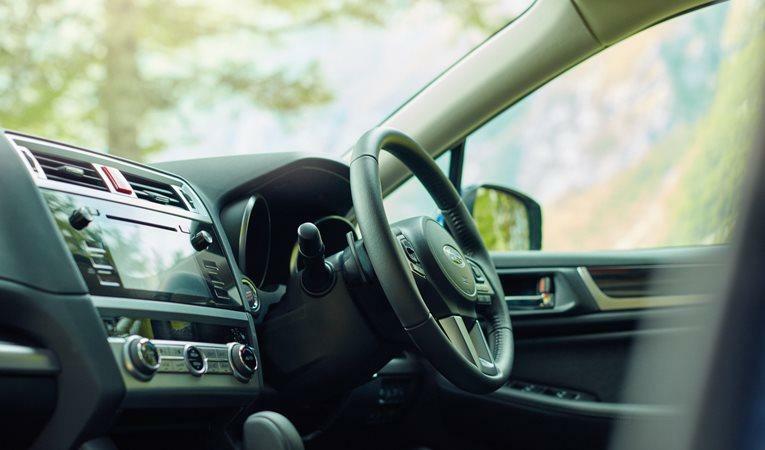 You can control operations via the central multi-function touchscreen, steering wheel controls, or simply use your voice. It’s easy to connect your smartphone or other mobile music device via the USB or standard AUX jack. 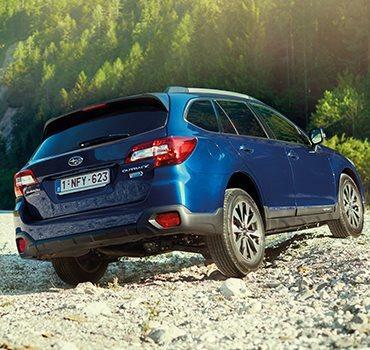 Outback’s reversing camera helps you reverse and park easily and safely. A powered rear tailgate makes loading is easy; it opens and closes automatically at the push of a button.